Combining versatile cargo capacity with outstanding ride stability, the Harley-Davidson® Trike Line is a unique and popular addition to the Harley-Davidson® motorcycle lineup. These beefy three-wheelers take the concept of a touring bike to its extreme limits, and with the all-new Milwaukee-Eight™ 107 V-Twin engine, they deliver more power and performance than ever before. 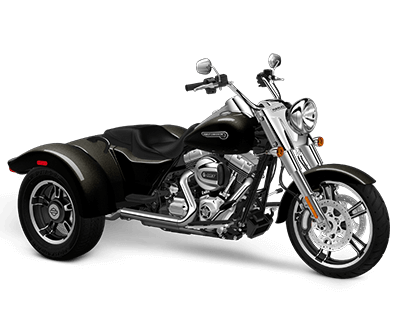 Trike fans from Aurora and throughout the greater Denver area will find unparalleled confidence in the authentic Harley-Davidson® power of these remarkable three-wheel road kings. With its smaller size and a superior three-wheel frame design, the classic styled Harley-Davidson® Freewheeler™ is easy to handle. The new Milwaukee-Eight™ 107 engine delivers all the low-end torque and robust passing power you need to cruise down East Colfax in Aurora, and the smooth Six-Speed Cruise Drive® Transmission will make every road trip a breeze. 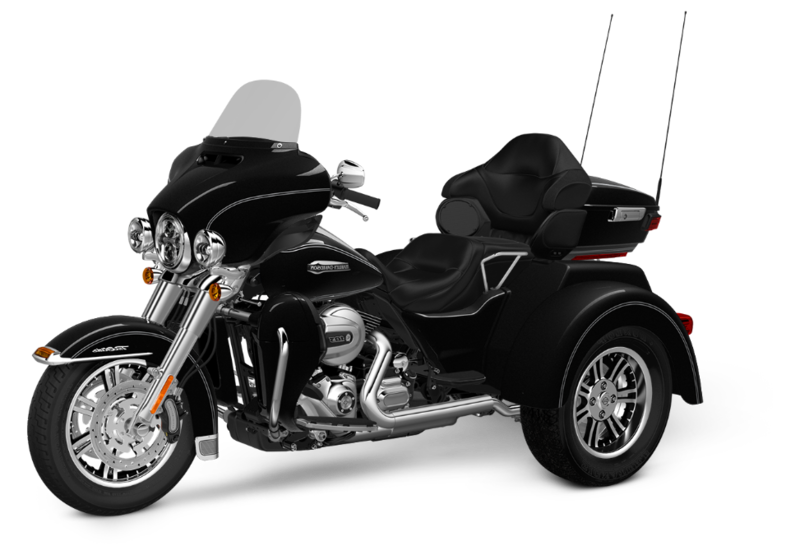 This trike is engineered with disc brakes in the front and rear, ergonomic hand controls, standard cruise control, and an assist and slip hydraulic clutch, so that you’ll be ready for anything the road throws your way. Brighter turn signals, Daymaker™ LED headlamps and fog lamps, brighter brake lights, and a stiffer fork at the steering head are all key features of the Tri-Glide® Ultra. Standard rear to front linked brakes provide the ability to slow down in a flash, and the new Milwaukee-Eight™ 107 V-Twin delivers more power and efficiency than ever, so you’ll never have trouble passing or merging. The Tri-Glide® Ultra comes with all kinds of storage and cargo compartments, as well as a Boom!™ Box 6.5GT Radio and a slick infotainment system with full-color screens and voice activation. That will keep you connected whether you’re riding down South Broadway, or across the country.